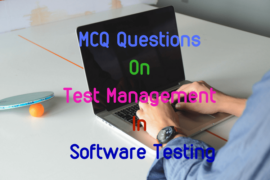 This set of multiple choice questions on structured query language(SQL) includes MCQ questions about basic SQL commands. 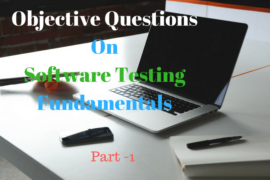 It includes set of objective questions on the uses of SELECT, INSERT and DELETE commands. 1. Which of the following query is correct for using comparison operators in SQL? 2.How to select all data from studentinfo table starting the name from letter ‘r’? 3. Which of the following SQL query is correct for selecting the name of staffs from ‘tblstaff’ table where salary is 15,000 or 25,000? 4. The SELECT statement, that retrieves all the columns from empinfo table name starting with d to p is ……………………..
5. Select a query that retrieves all of the unique countries from the student table? 6. Which query is used for sorting data that retrieves the all the fields from empinfo table and listed them in the ascending order? 7. Select the right statement to insert values to the stdinfo table. 8. How to Delete records from studentinfo table with name of student ‘Hari Prasad’? 9. Constraint checking can be disabled in existing …………. and ………….. constraints so that any data you modify or add to the table is not checked against the constraint. 10. ………………… joins two or more tables based on a specified column value not equaling a specified column value in another table.